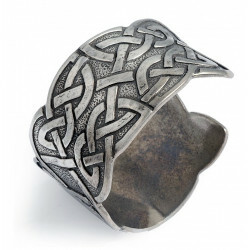 Large open bracelet decorated with interlaced Celtic patterns. 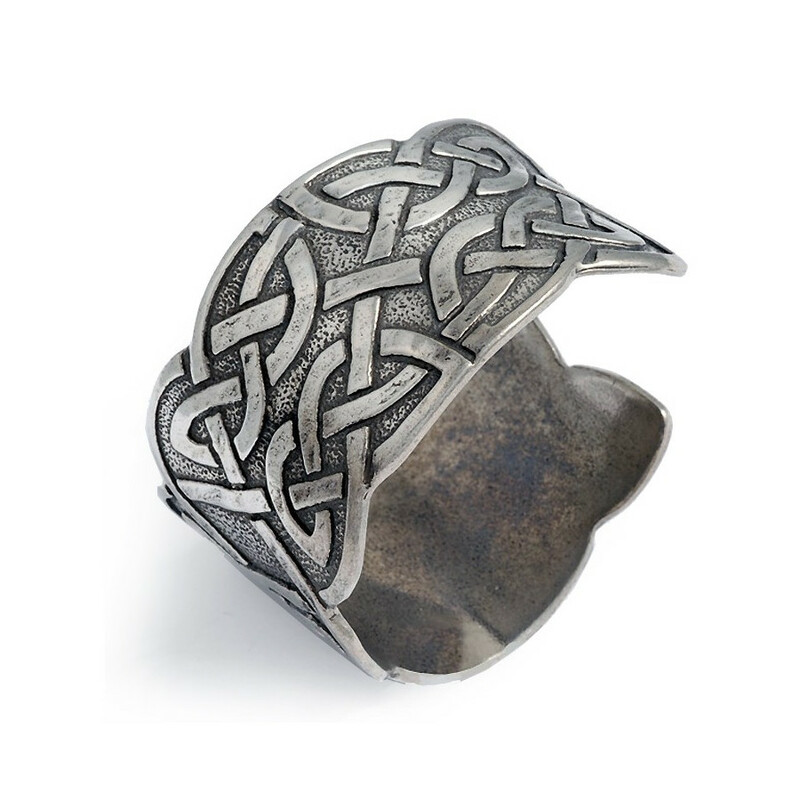 This large open bracelet is decorated with interlaced Celtic patterns. Created by the ancient Celts, the Celtic knots epitomize the continuity of life and complexity of natural shapes and features. These knots have been used in object decoration and monument ornamentation, as well as decorative features of the Christian manuscripts such as the Book of Kells and the Lindisfarne Gospel in the 8th century.